Performance reviews have changed significantly in the past few years. especially during performance review discussions. Johnson & Johnson, and Pfizer are all looking for specific competencies. 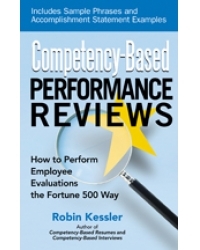 • Perform competency-based reviews on your employees. providing the evidence to justify higher performance rankings. • Develop your own competencies—and those of your employees. advocate for themselves throughout the year. use on performance review forms.